Editor’s Note: I’d worked out my work schedule, so I could take off on a Tuesday in late May to go fishing with my buddy, fishing guide and tournament winning crappier, Jonathan Phillips of Wetumpka, Alabama. 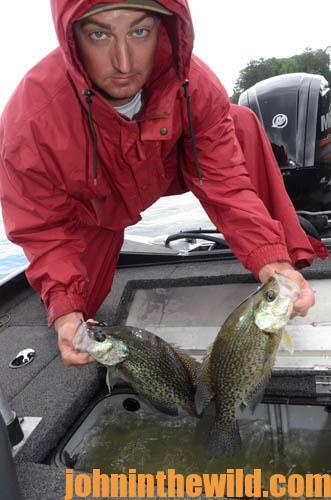 Phillips had just won the Alabama Crappie Masters Championship and was catching plenty of big crappie. He felt confident we could have a good day on the waters of the Alabama River, about 1-1/2-hours from my home. However, when I called him on Monday night, Phillips said, “We’ve had 7-1/2-inches of rain in the last 24 hours on the Alabama River. Since you live just outside of Birmingham, you know the entire state’s waters, including numbers of feeder creeks, are flooded and out of their banks. I know this much water will move the crappie around from where they were during the Crappie tournament. Also, a lot of trash will be in the river. 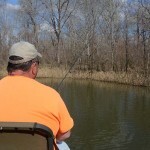 I think finding crappie will be harder, and there’s an 80 percent chance of rain on Tuesday. We can go if you want to, but I really think we can pick a better day to fish. I’ve developed some summer patterns that have been really working well. If we wait a week or two, I feel certain we can catch some good-sized crappie.” But we caught numbers of the biggest crappie I’d ever taken in these flood waters. 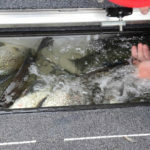 Phillips uses 8-pound test SpiderWire Invisi-Braid http://www.spiderwire.com/spiderwire/?q=invisi-braid, because he often gets heavier boat wakes fishing lakes or rivers in the hot summer months. 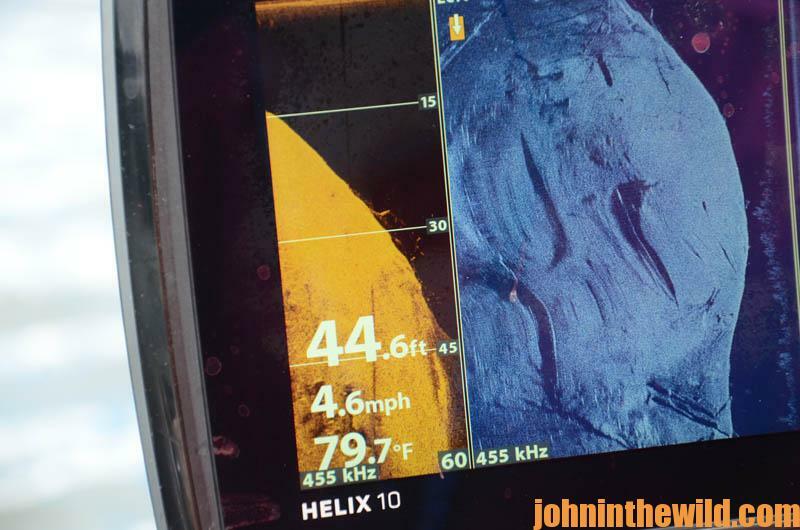 Phillips is convinced that feeling his bites with that thin, small braided line than with monofilament line is easier. But when using braided line, Phillips has to make sure he has a lighter hook set than if he’s fishing more-shallow water with monofilament line that has some stretch in it. 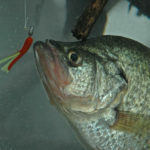 “If you set the hook too hard, when you’re fishing with braided line, you may pull the hook and the bait away from the crappie, or you can tear a hole in the crappie’s thin lip, which allows the crappie to get free from the hook before you can get the fish to the boat,” Phillips explains. 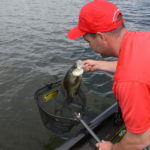 Phillips likes a 1/2-ounce sinker on the bottom of his line to get the baits down to the depth of water where the crappie are holding but to knock the hook out of any type of wood structure on or near the bottom. 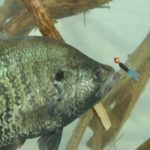 Other very-important factors that enable Phillips to consistently catch bigger crappie in the hot summer months than most of us do is that he’s fishing places that most other crappie fishermen don’t fish, and he’s fishing at a time of the year when the fewest number of crappie fishermen will be out on any body of water. The crappie he’s finding and catching are usually old and big crappie. 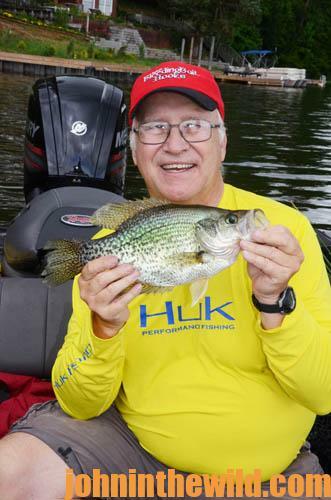 Phillips wants to consistently produce good limits of crappie for the people he guides and fishes with, preferably crappie in the 1-/1/4- to 2-pound ranges. 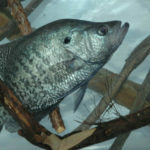 To learn much more about crappie fishing, get John E. Phillips’ Kindle eBooks, and print and Audible books by going to http://johninthewild.com/books/#crappie or to www.barnesandnoble.com for Nook books. To receive and download for free “The Crappie Catchers’ Cookbook,” by John and Denise Phillips, go to http://johninthewild.com/free-books. 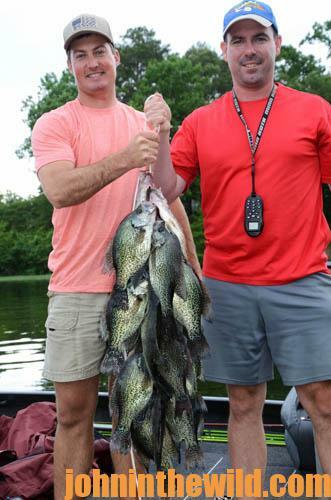 To fish with Jonathan Phillips and learn how he catches big crappie all summer long, contact him at 334-391-9735, or go to his Facebook page at Team Phillips Guide Service https://www.facebook.com/Team-Phillips-Guide-Service-935028296557829.